Being productive takes more than having the latest productivity apps, fancy planners or perfectly time blocked days. 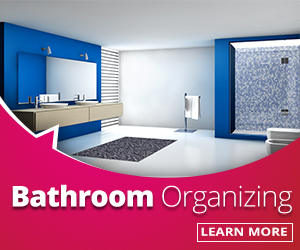 Having an organized and comfortable workspace plays a huge role in your productivity levels. A stand-up desk is a solution to comfort in your workspace. Besides having good lighting and a comfortable location in your home or office for your workspace, having the right kind of stand up desk can be an invaluable tool for increased productivity and staying organized. But sitting at a desk all day long can not only be tiring and boring but cause back pain. Being tired, bored and having an aching back while trying to get your work done are productivity killers. Also, when you sit at a desk all day long, you’re less likely to get up, walk around and put things away. As a result, clutter tends to collect. A cluttered desk will not only lower your productivity but decrease your focus and increase your stress levels. Thankfully, having a stand-up desk provides an easy solution to that problem. adjustable stand-up desk. Here’s a handy guide to choosing a stand-up desk that is affordable, comfortable and helps you stay organized and get your work done more efficiently. 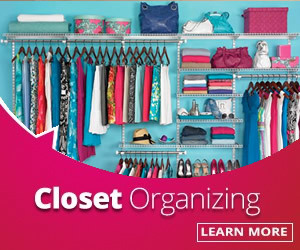 If you have ever tried to get a handle on your clutter, you know that a desk can be a great way to gather and organize work supplies, or it can be a nightmare of papers, pens, and miscellaneous junk. A stand-up desk that converts from sitting to standing heights can help you stay organized by discouraging the piles that often gather on desktops. The research team from Reviews.com put stand-up desks to the test to find out which ones delivered the most stability, the easiest conversion from sitting to standing, and the best looks. When choosing which models to try, they chose desks which would fit a wide variety of body types (users up to 6 feet 7 inches) and provide a good warranty (the average frame warranty is 5.5 years, while the average warranty for electronics is 4.5 years). Nine desks were tested and rated based on ease of assembly, stability (using full cups of coffee to measure how much wobble each desk had), ease of conversion, and looks. The top rated desk–the Fully Jarvis Bamboo Adjustable Height Desk–was among the fastest and easiest to convert, and it was very stable. It provided a practical, easy-to-use work surface, and it was by far the most attractive option. The Fully Jarvis offers standard add-ons like a power grommet, wire management, and a programmable handset for easy height adjustment. Jarvis also offers storage solutions like a pencil tray, a monitor arm, and CPU storage. The first runner-up was the Uplift Sit Stand-up Desk. It was very similar to the Fully Jarvis but a little more wobbly in the fully extended position. The look and feel of the Uplift desk was slightly less luxurious than the Jarvis, but it does come with an 18 by 30-inch gel foam mat (approximately $100 value), which makes working in the standing position much more comfortable. The third finalist was a surprise. The reviewers expected the UpDesk Ultra UpWrite with its whiteboard desktop to feel gimmicky, but in fact, they loved it. If you like to doodle as you think or jot down notes to yourself, the UpWrite provides ample space right on the desktop. In testing, the UpWrite was extremely sturdy and had the smoothest, quietest conversion of any of the desks tested. Two desks merited an honorable mention. The Ikea Bekant was the lowest priced desk tested, and although its performance wasn’t dazzling, it was solid. If you are working with a smaller budget, the Bekant is a respectable choice. If you are trying to organize your office in a small space, the Fully Jarvis Junior measures only two feet wide but provides the same add-ons and performance as the full-sized model. Stand-up desks are gaining popularity as research points to the negative health effects of sitting for long periods of time, but prolonged standing can also lead to health problems. For maximum benefit, a stand-up desk must be adjusted properly to provide proper alignment of the spine, neck, and arms, and it must allow for periodic conversion from sitting to standing. A desk that moves up and down easily not only allows your body to move around and change positions, it also discourages the build up of stacks of papers that can start a landslide whenever the desk moves. 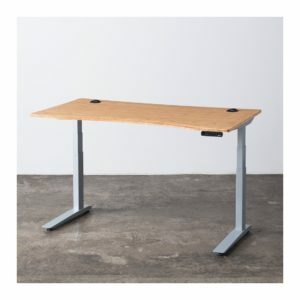 Like the rolling stone that gathers no moss, a convertible desk gathers less stuff.